Competitor scores a digital PR success? 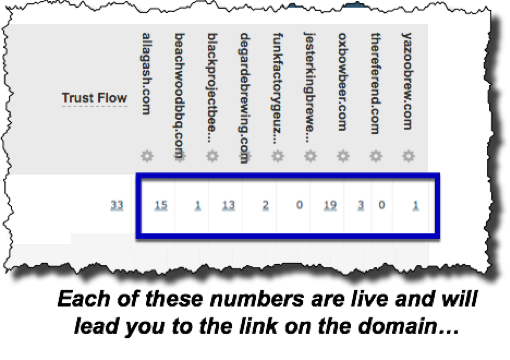 Don’t get mad, get even!Majestic Blog Competitor scores a digital PR success? Don’t get mad, get even! Competitor scores a digital PR success? Don’t get mad, get even! So, your competitor has just got some outstanding media coverage that even includes some valuable editorial backlinks. Doesn’t it make you mad that the journalist wrote about them, and not you? Well don’t get mad, get even by using Majestic to tap into your competitor’s digital PR success. We’ll show you step-by-step how their coverage can help you uncover scores of media opportunities you can take advantage of immediately. 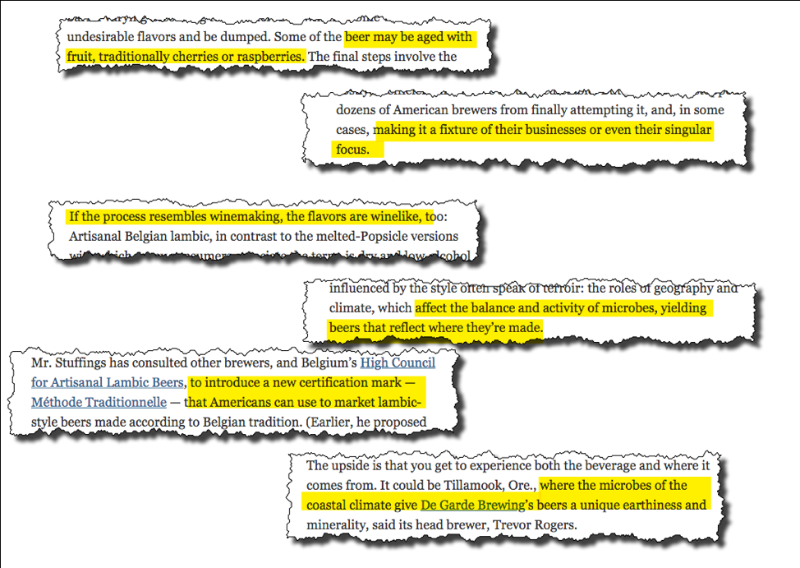 Take this article, American Beers with Pungent Whiff Of Place in the New York Times. This is a detailed, 1400 word-article, typical of many that appear in the quality press. It features stories and editorial links to a total of 9 breweries in the US. The journalist who wrote the piece, Daniel Fromson, has done a lot of work; not only has he found 9 breweries around a common them, he has interviewed the owners and built a coherent narrative around their replies. He has picked out stories that he thinks will be of interest to his readers and told them in an engaging way. Such media stories are gold-dust for any link builder, SEO or digital marketer [click to tweet]. 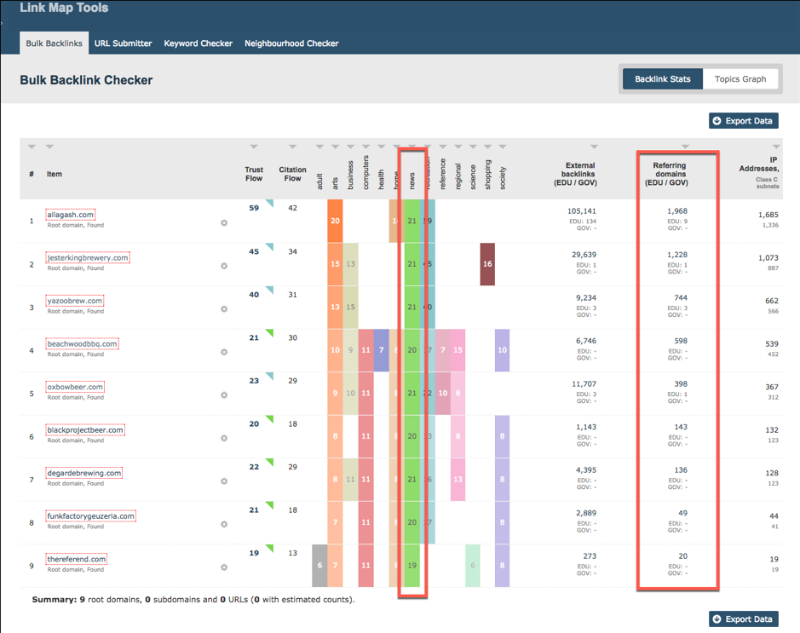 In this post, I’m going to show you what great value you can get by analysing this article with Majestic tools. I’m going to show you step-by-step what to do – and this approach to mining quality articles is relevant and useful, no matter what industry you’re in. 7. Extract Digital PR ideas from quality articles. 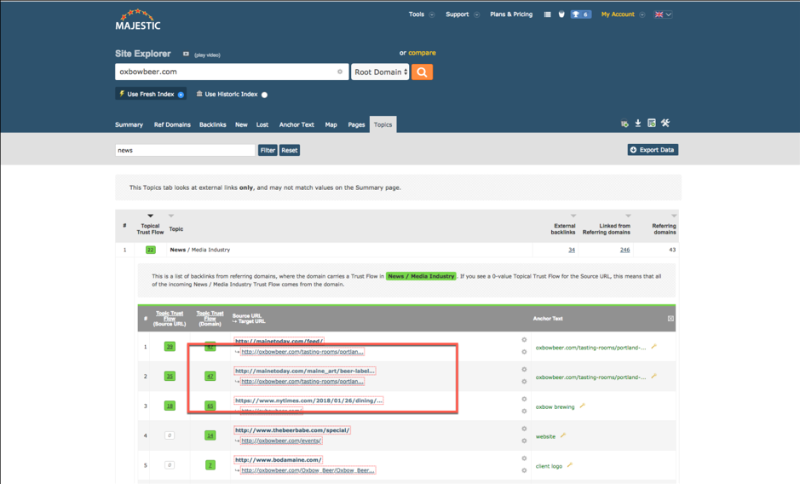 Collect all the root domains of the businesses featured in the article and paste them into Bulk Backlinks, ranking the results by the number of referring domains. The assumption that the companies are media-savvy is confirmed by the strong score for the ‘news’ topic in the centre of the screenshot. 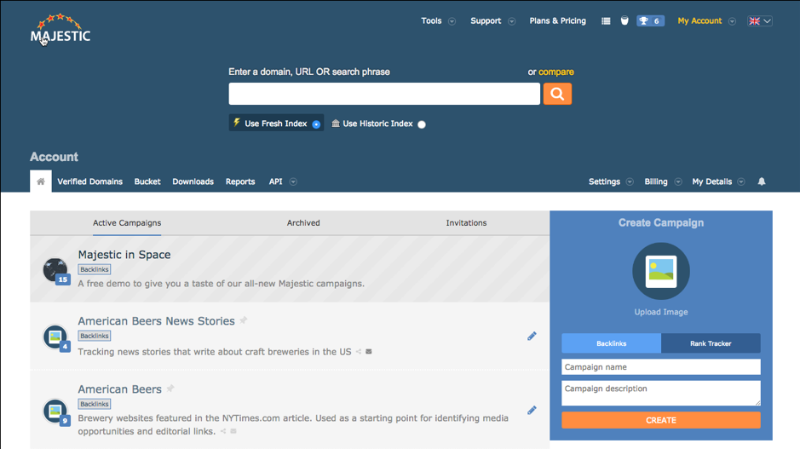 The Topics tab is key to finding more news stories featuring Jester King. 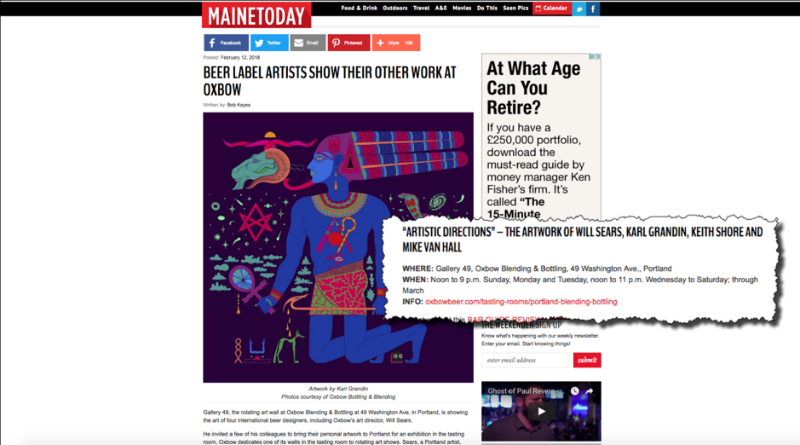 Click through and we can see a clever story from Oxbowbeer.com – where they staged an exhibition of ‘Beer Label Artists’ – perhaps a link building initiative that might inspire you to do something similar! 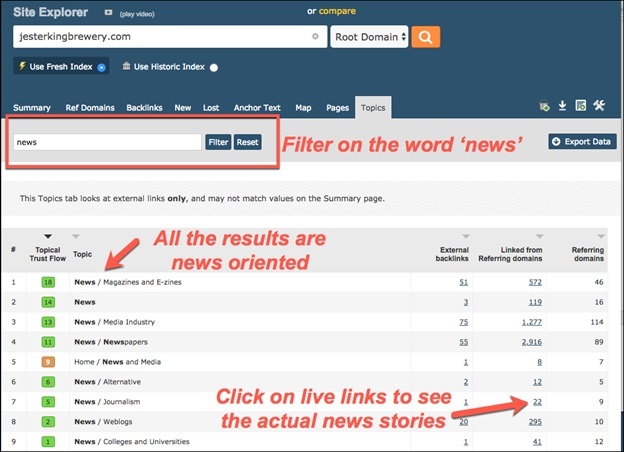 Using this approach, every link building initiative or news story can give you inspiration [click to tweet] – and also journalists and outlets to which you can make your own pitches. The first thing you should look for is what makes a newsworthy copy. There’s no tool for this step – but understanding what is newsworthy is essential if you want to succeed in digital PR. 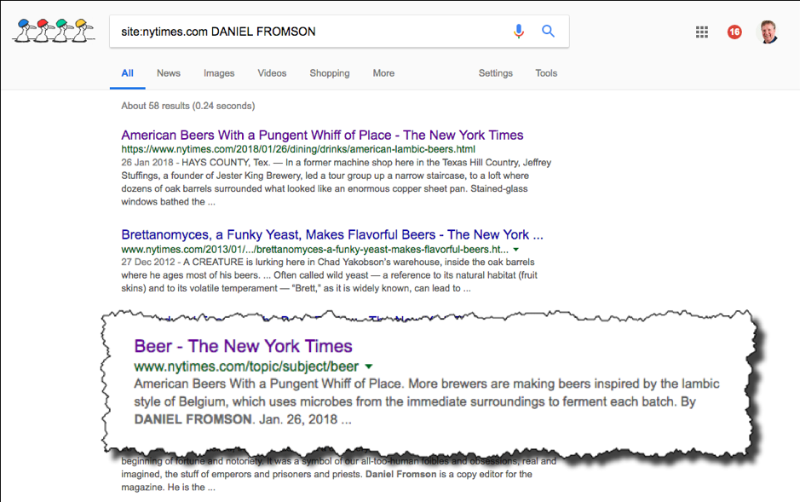 By carefully reading through the article in the New York Times, you’ll see what the journalist thought was newsworthy about each of the featured breweries. And by ‘reading’, I don’t mean ‘skimming’. Take your time, read through the article several times. Ideally, have a notebook in hand and note down thoughts, quotes or interesting detail from the article. This slow, methodical work will give you insights into what makes the story stand out: that’s what journalists are looking for as they scan through press releases or conduct interviews. Once you know what journalists are looking for, then you are well placed to provide it. Let’s take a few examples of stories that Fromson included in his article. Journalists want vivid descriptions to bring their copy alive. In this quote from Jeffrey Stuffings of Jester King Brewery, sight and sound are used to great effect – “so much steam that you would not be able to see me” and “The coolship kind of creaks and groans”. Journalists are much more interested in these vivid descriptions than boring claims to be “the leading brewery in the state of x”. The journalist probably interviewed many more breweries than the nine he featured in the article. Using colourful language like this when you pitch a journalist could make all the difference between you being featured or not! Another way to get remembered by the journalist is to tell a simple anecdote. In this quote, Rob Tod of Allagash Brewing tells the story of how his company trademarked the word “coolship” and then decided to stop enforcing their trademark rights because so many brewers were using it. It’s unusual anecdotes like this that makes the journalist think, “Wow, that’s a great quote – I just have to work that into the story”. Quotes are often used to finish an article. The New York Times opened up with a quote from Jeffrey Stuffings: often the journalist likes to finish with another quote from the person he used at the start of the article. This is a wonderful use of words and certainly brought its reward to Jester King Brewery. Many people who only skim the article will fail to spot these crucial quotes – but not you! Take the time to look for these gems. They’ll probably be present in every news story you read: learn from them, adapt them to your own industry – and journalists and writers will soon start to take notice. Most online media sites now have a page for every journalist that writes regularly for them. 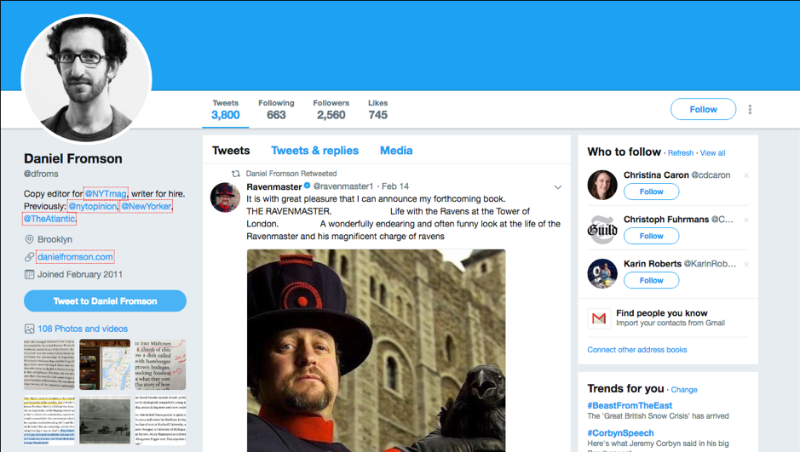 Visit these pages and you’ll be able to see all the articles the journalist has written previously, you’ll likely see their twitter handle and sometimes even their email address. This is great intelligence for approaching journalists in the future. You’ll quickly learn what they write about, their style of writing and their point of view. Incorporate these insights into your pitches and your chances of success will be so much higher. You can see that according to Google, there are 58 articles where Fromson’s name has appeared – that’s more than enough articles to get a good idea of what he is about! But there’s more than I can get from that NYTimes.com search on Google. 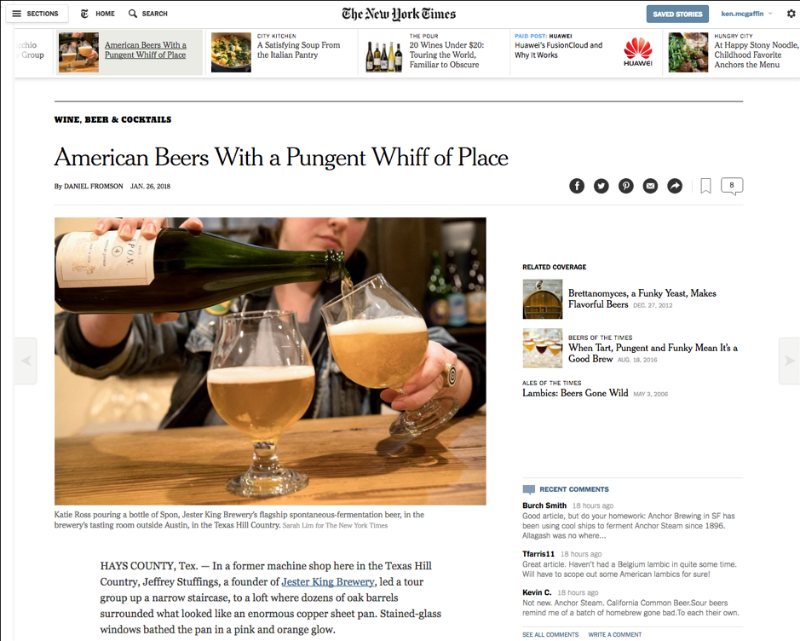 Visit that page and we get articles by a whole bunch of journalists who have written about beer in the NYTimes.com over the last few weeks and months. That’s more potential targets to approach! 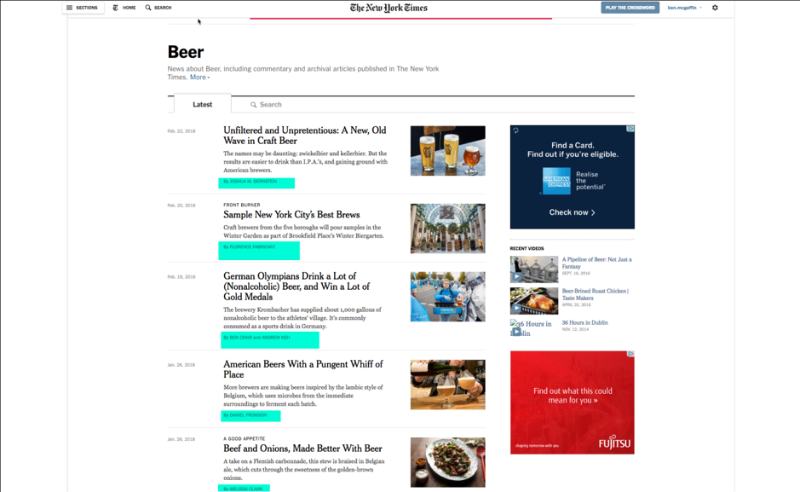 The New York times lists 10 journalists who have written about beer for them in the last 5 weeks. 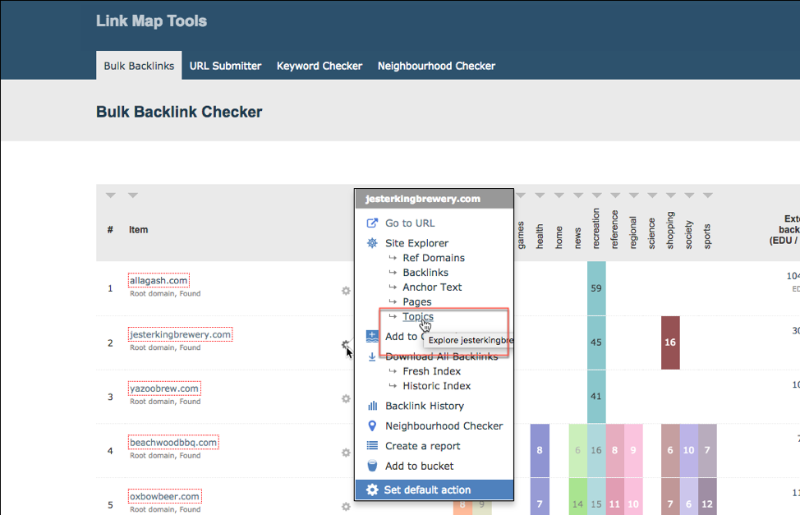 Enter all these URLs into Bulk Backlinks and sort on the number of referring domains. 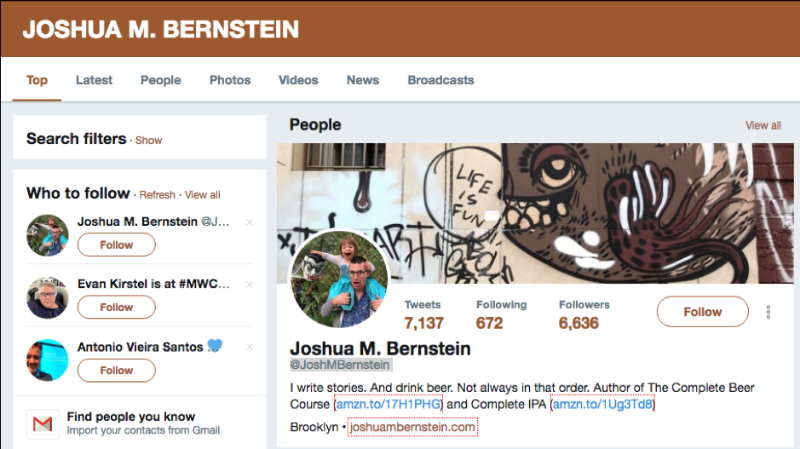 With just a little bit of work, I’ve built a ranked list of 10 journalists who regularly write about beer – using just one quality article as my starting point. Just imagine the lists I could build with Majestic if I repeated this process with other quality articles about breweries or craft beer? 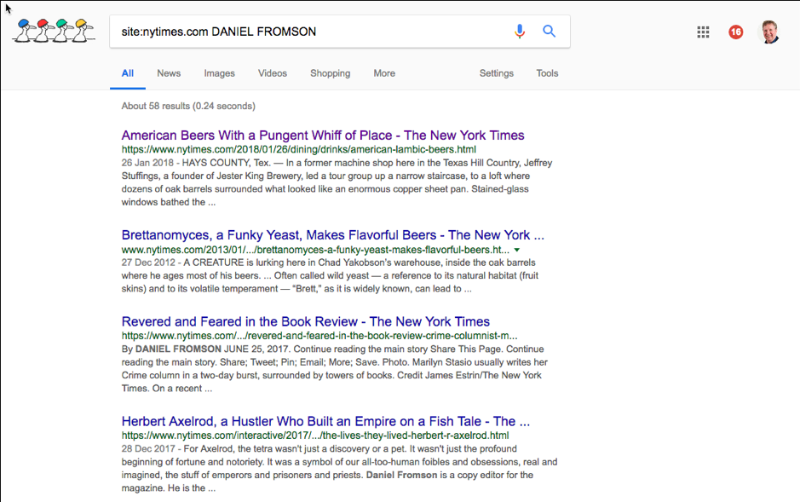 So first, I’d search for “craft beer” on Google News so that I’d find important news stories. Then I’d use the ‘Tools’ on Google to limit the search only to news stories that had been published in the last month. That’s because, the more recent a story is, the more likely the chance of making a real connection with the journalist who wrote it. Do the same in your own industry, and you’ll quickly build a list of hot journalist prospects. Journalists and bloggers often quote and link to interesting or important articles written by others. 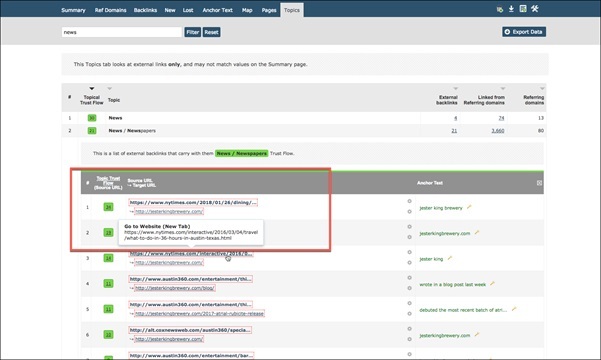 Therefore, checking who links to a particular piece of content like the beer article in the New York Times, can discover other relevant journalists and bloggers who can be added to your media lists. 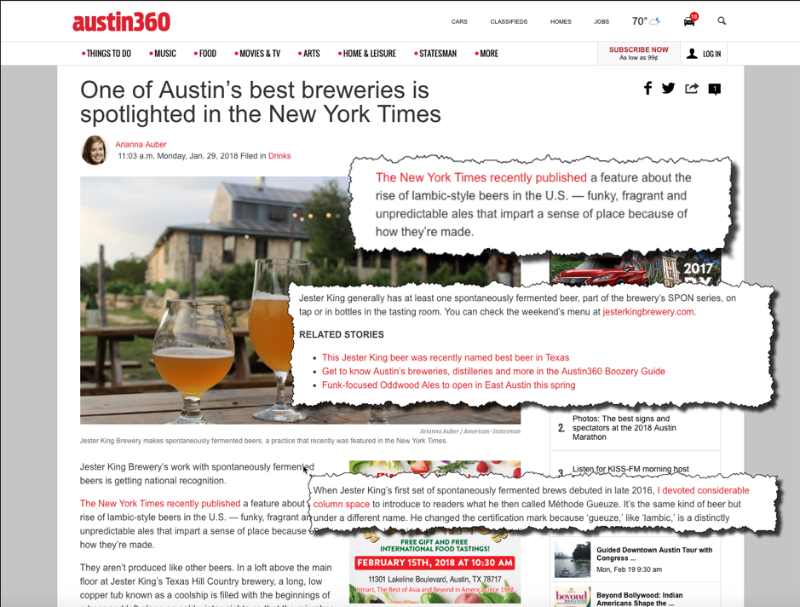 I’ve highlighted the link to “One of Austin’s best breweries is spotted in the New York Times”. This type of article is common – a local media outlet thinks the fact that a local company was featured in a national paper is ‘newsworthy’. 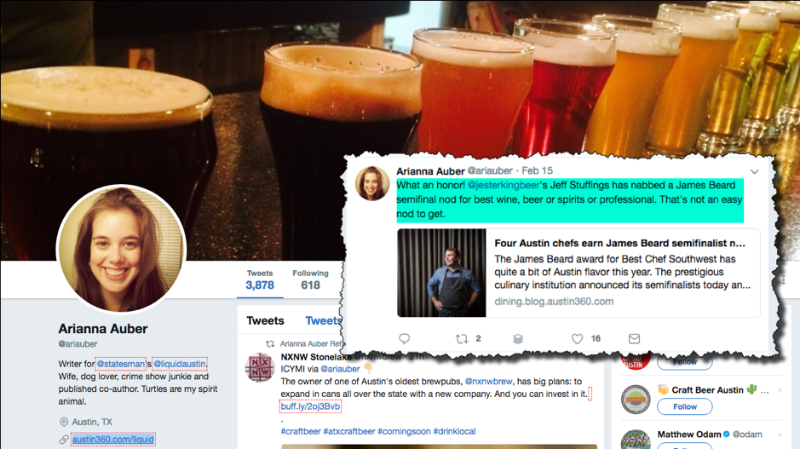 Austin360.com publishes links to stories they have previously written about Jester King. 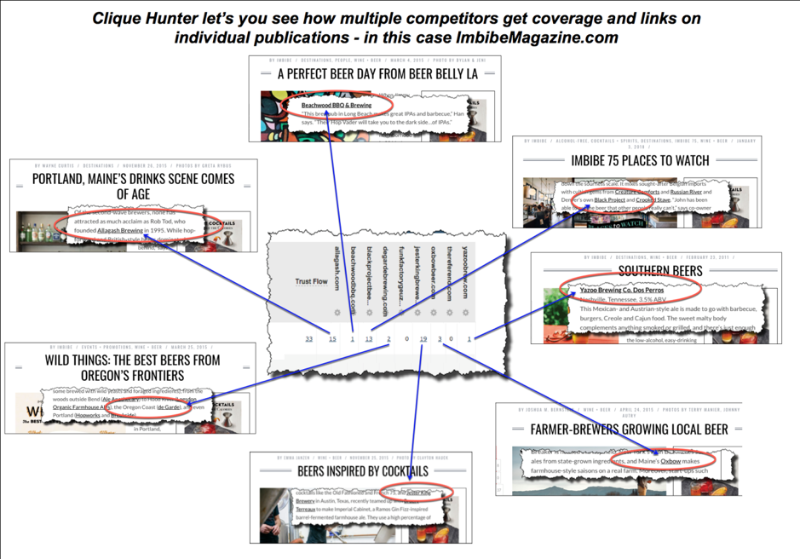 The savvy link builder should always tap into this ‘bonus’ source of local coverage and backlinks when you score a major media hit. “But do you have experience in the [insert client’s sector] business?”. Clique Hunter is the tool to provide a brilliant answer in such circumstances! 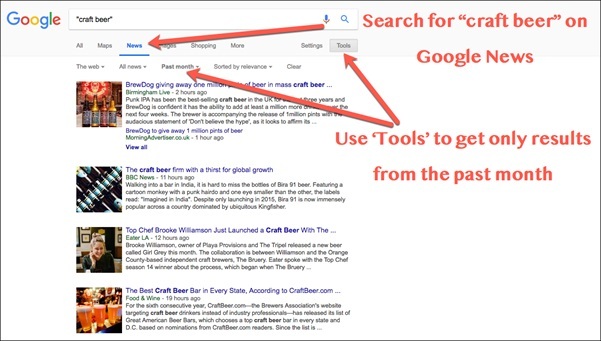 Let’s demonstrate with our 9 brewery sites and show how you can become an ‘instant expert’ in link building in any industry. 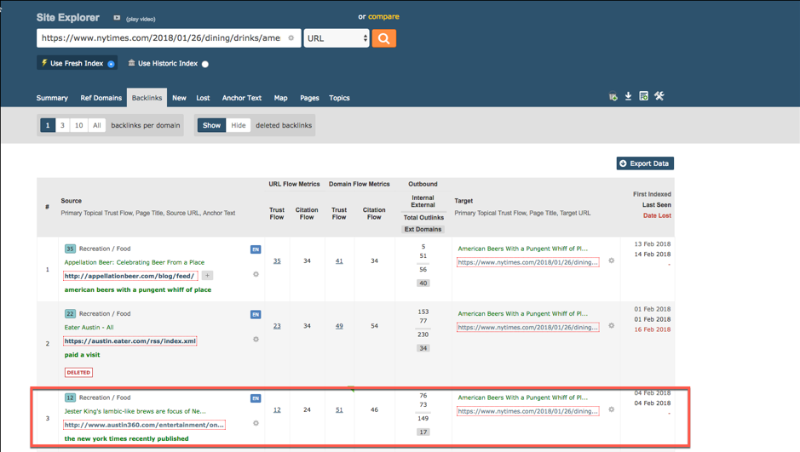 Why each of your competitors got links from these important sites – all with vivid examples and screenshots. 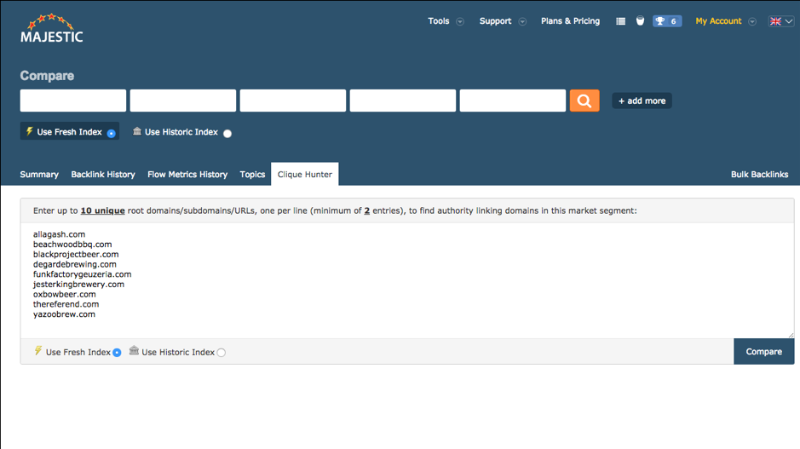 Clique Hunter reports 631 sites that link to 2 or more of the domains we entered. 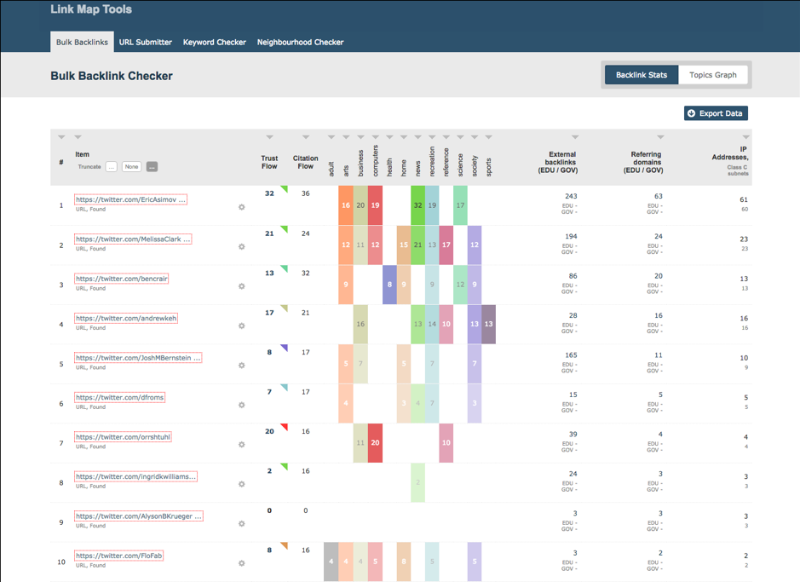 And the tool also allows us to see the actual pages for every competitor. The underlined numbers in the right-hand columns are clickable and they’re the gateway to additional information. I’ve picked out an example to demonstrate, ‘Imbibe Magazine – The Ultimate Drinks Magazine’ (my green highlight). 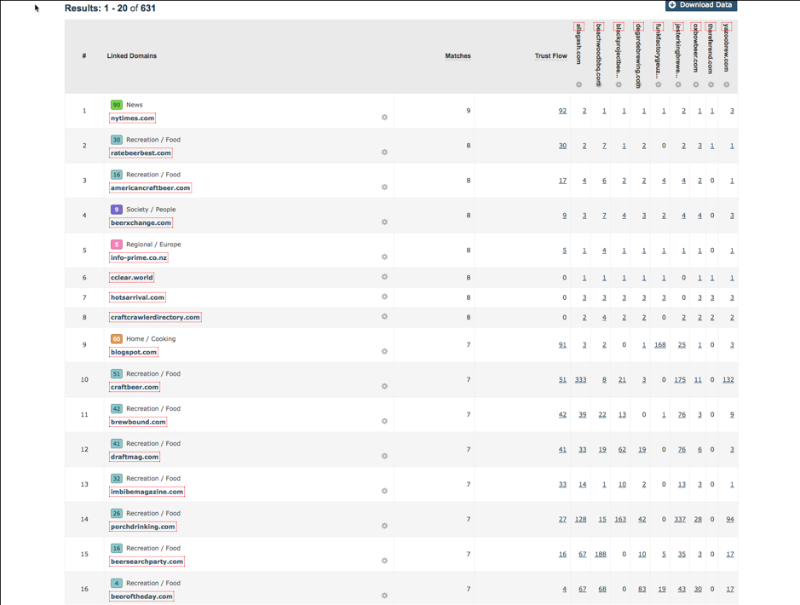 The first column shows the site has a Trust Flow of 33, and the subsequent columns are live links to magazine pages. 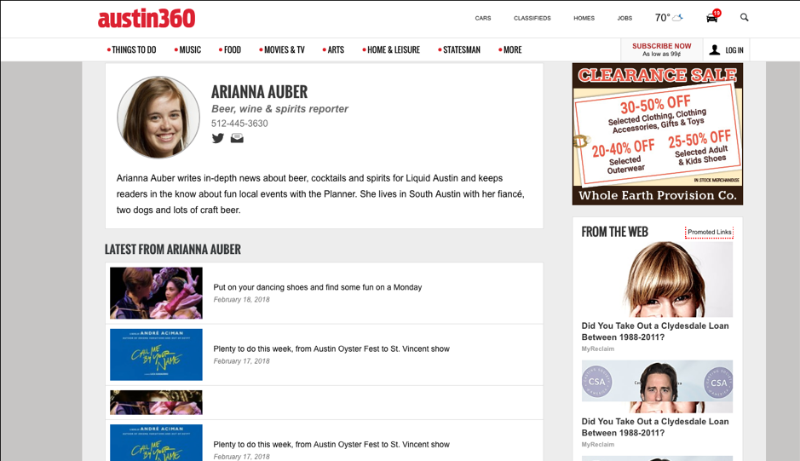 I’ve clicked on the 6th column which then opens up the links to the Jester King Brewery. I can then see the context of the link and understand why the journalist gave it. 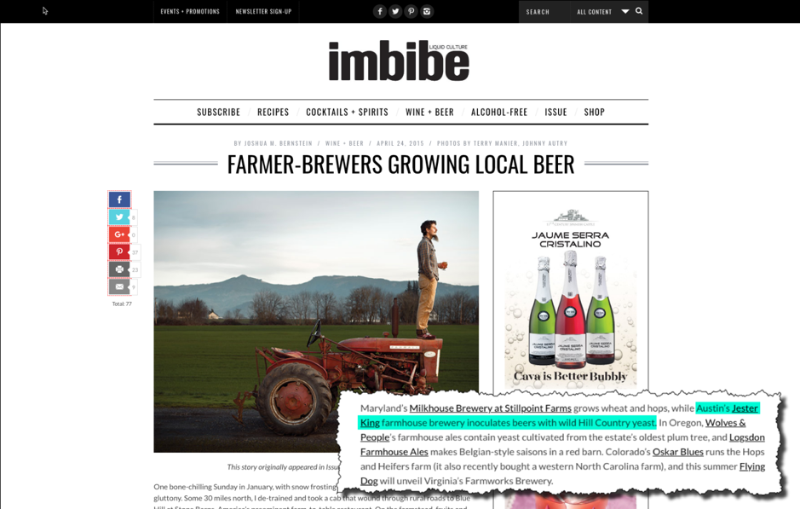 And you can explore how each of your competitors is featured in Imbibe Magazine. A range of journalist writing for the publication – so you can learn about their individual likes and dislikes. I’ve already said that companies who feature in the quality press are likely to be media-savvy and will likely get media coverage in the future. That’s why I add them to a campaign and switch ‘alerts’ on. That means that once a week, I’ll get an automatic email from Majestic giving me details of any new links I’ve found for those sites in the campaign. and ‘American Beers News Stories. 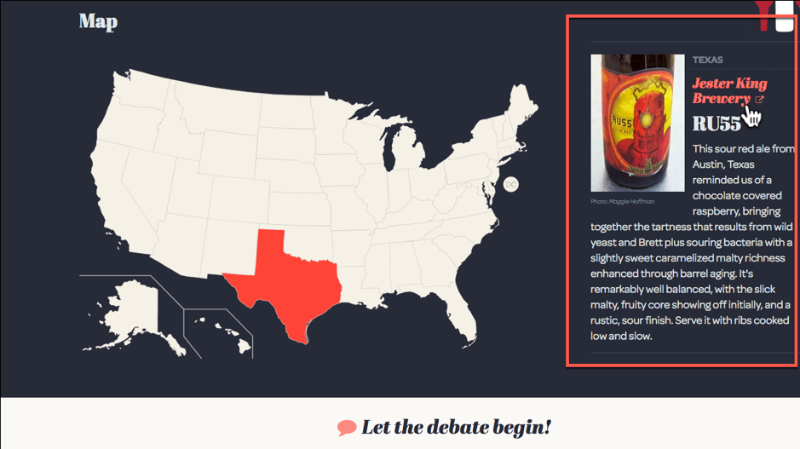 The first campaign, ‘American Beers’ is obvious – it’s what anyone serious about monitoring their competitors would do. But the second campaign is a little unusual but useful nonetheless. Here’s why. I’ve said earlier that journalists and bloggers often write about work created by other writers – usually to praise or to criticise. Either way, they’re entering into a conversation of sorts – and you could join in and perhaps get some publicity yourself – or at least start a relationship with a journalist. So, I set up a campaign based ONLY on quality articles on craft beer. If I set up a campaign that’s purely about news stories, I can get an email from Majestic once someone links to one of those stories. This can take me to conversations or debates within the industry. This is a current story and gives me an opportunity to engage with the blogger if I so wish. There’s no Majestic tool for this step, but it can be a fantastic by-product of the work I’ve done. I’ve collected and read a lot of articles on craft beer as I’ve conducted this research. 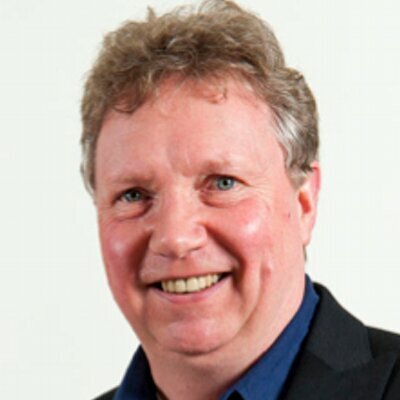 Quality articles are detailed and often the journalist aims just to get a set number of words written – they have to hit 1400 words, not 2000 words. And that means they can’t cover everything they’ve discovered in their research – so their articles are often full of ideas that they haven’t been able to develop. After I’ve written and submitted my article, I’ll grab a coffee (or maybe it should be a beer in this case), go through my research notes and print-outs for any ideas that might ‘pop out’. Getting creative inspiration is a very personal thing – the topics that I’ve picked out, set my imagination alight. But the beauty is that you can get entirely different inspiration from the same material I have used. 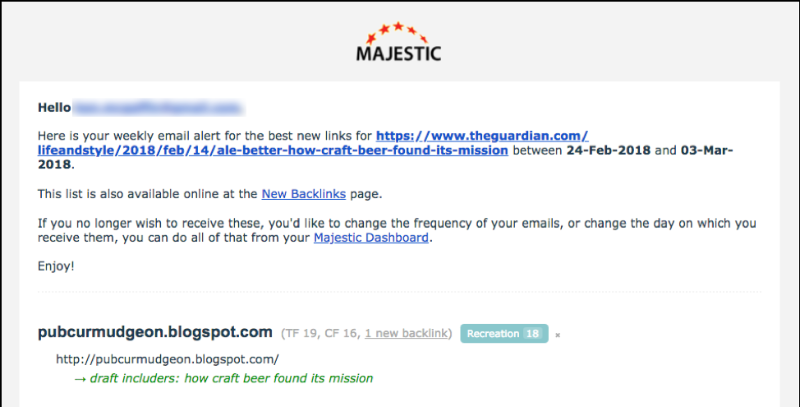 Could Majestic be the only Digital PR tool link builders need? Digital PR success is something that is expected of experienced link builders today – and it can produce tremendous results. Yet many link builders don’t have extensive PR experience, nor access to the expensive media databases available to PR professionals. 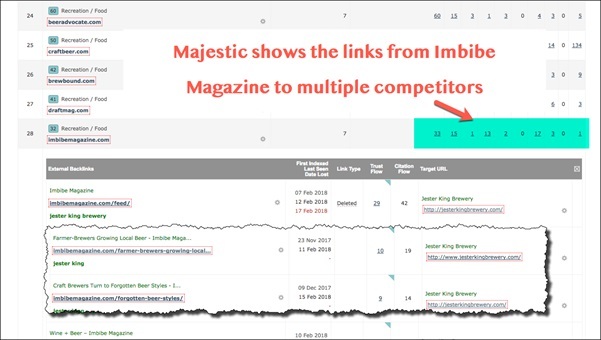 However, as I’ve demonstrated in this post, the existing tools within Majestic provide ample opportunity to find journalists and bloggers; to understand what approaches are considered newsworthy; and to monitor competitors and set out a viable Digital PR and link building strategy. And now what about you? Have you used Majestic to power your PR campaigns? As always, we’d ask you to share your PR experiences, your suggestions and questions in the comments below. Interesting Article! Very informative. Thank you for posting it. All of the screenshots are way too blurry. Could barely make out anything.